In all honesty, I'm completely obsessed with temporary tattoos. I've wanted a tattoo since I was 16 but, haven't been able to get one yet. I can't exactly spare an extra $150 and even if I could, there's a good chance it'd only fuel a tattoo addiction. 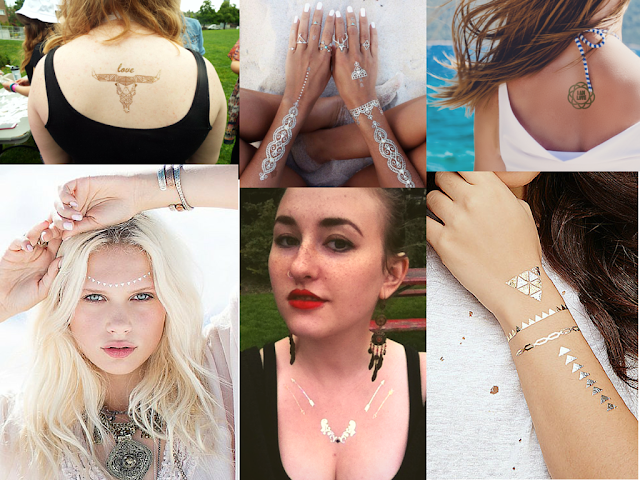 Since discovering adult temporary tattoos, I've established that I could very easily be covered in tattoos without being able to stop myself. 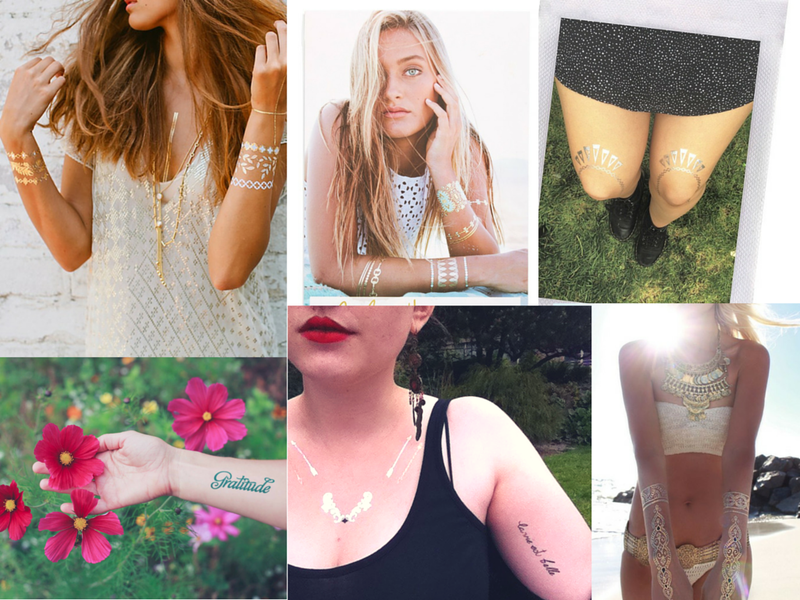 Plus, metallic tattoos are all the rage right now, something you can't get in a real tattoo.